Nshema! Grits that I can eat with my hands! 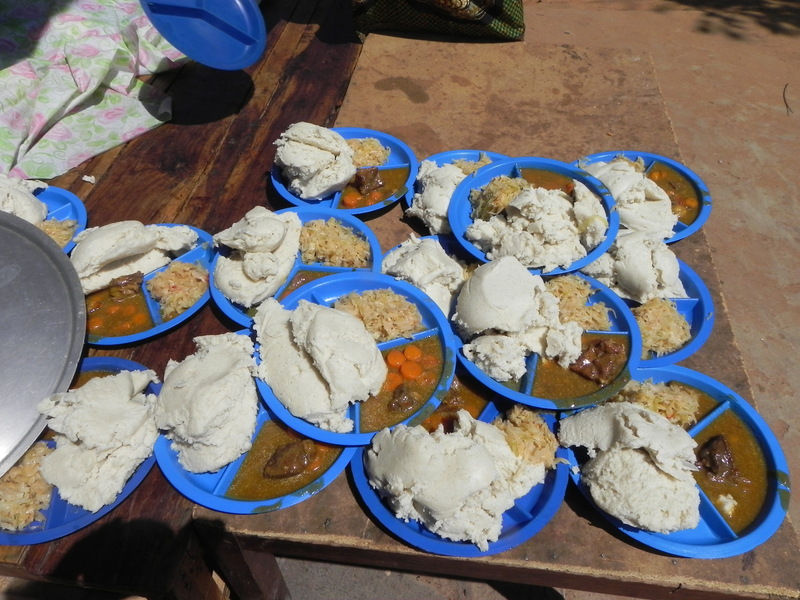 Nshema (break it down in syllables, N-she-ma), is the staple of the Zambian diet. 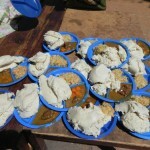 It is simply ground maize (corn) in two consistencies, breakfast meal which is finer, or roller meal which is coarser. It is meant to be boiled down into a consistency which you eat with your fingers by rolling and pressing it into a ball. You then use the nshema to “press” other food, such as relish, into it and then pop it into your mouth. The nshema, while the basis of the diet, takes the place of your fork. I often tell people this is one of the ways I know God loves this Southern girl…….He sent me to a country that eats GRITS!!! Be brave….try it! Instructions: Bring water to a boil. Add your salt. Slowly add your grits, stirring continuously. Decrease heat to medium, continue stirring. Grits will become very stiff as you normally use twice the amount of water to grits ratio. As soon as grits are stiff to the point they are hard to stir, remove from heat. Place by large spoonful onto plate and serve with your Zambian relish. Remember….NO FORKS! Use your nshema to gather up your relish and pop into your mouth. I guarantee you that eating this way is a wonderful way to make sure everyone washes their hands before they eat! And don’t forget to say grace!! This entry was posted in Charlye's Corner, Zambian Recipes and tagged africa, fingerfoods, food, grits, recipes, zambia on 07/03/2014 by admin.